Last weekend my husband and I went camping together for the first time (yes, despite being together almost 5 years, this was a first for us). We’d both been camping many times in our past lives, and we both enjoy it. Why it took us 5 years to get around to it together I’m not quite sure, but it did. I suspect it has something to do with all the “stuff” required. We didn’t want to buy a whole heap of new (new for us, at least) stuff and we had nowhere to store it anyway. Eventually it was a friend of ours who prompted us into action. She initiated the trip, and came up with a list of all the stuff we’d need (for some reason I’d put the idea of making a list in the “too hard” basket). What we didn’t own (we own a small tent, one sleeping bag and one roll mat – not the stuff that comfortable two-person camping trips are made of) we needed to borrow. Well, I like a challenge, and I don’t like to admit defeat. The suggestion from my husband that I possibly entertain the idea of bringing a tin of tomatoes on the trip almost ended in divorce (okay, I exaggerate, but there was heated discussion from both sides). I’m pleased to say, despite the doubt, that zero waste camping is not nearly as hard as you might think. We had a great time, with only one mishap (which I’ll tell you about at the end). I suspect this will be the first of many trips! Before I start, I want to point out that this was a regular camping trip, and we had a car for transport. We were in a National Park with no facilities, so we did have to bring all of our own food and water. We weren’t backpacking, however, and we didn’t have to carry anything very far. What you don’t have, you can borrow. There was a lot of equipment that we didn’t own, and I wasn’t sure how easy it would be to borrow. In the end, we had far more offers than we needed. Our friends and family were more than willing to lend us their gear. I wonder if it’s because people who go camping really love camping, and want others to experience that same enjoyment; or whether it’s because camping equipment doesn’t get used terribly often and people like to maximize the value by letting others use it too. Either way, it saved us having to source a heap of things we might have only used once. Now we know we’ll go again, we will probably invest in a couple of things – a second sleeping bag would be good! We’re also clear on what things weren’t useful and would be a waste to purchase. You need to be (slightly more) organized. Camping always tests organization skills, particularly when you have to supply all of your food and water. 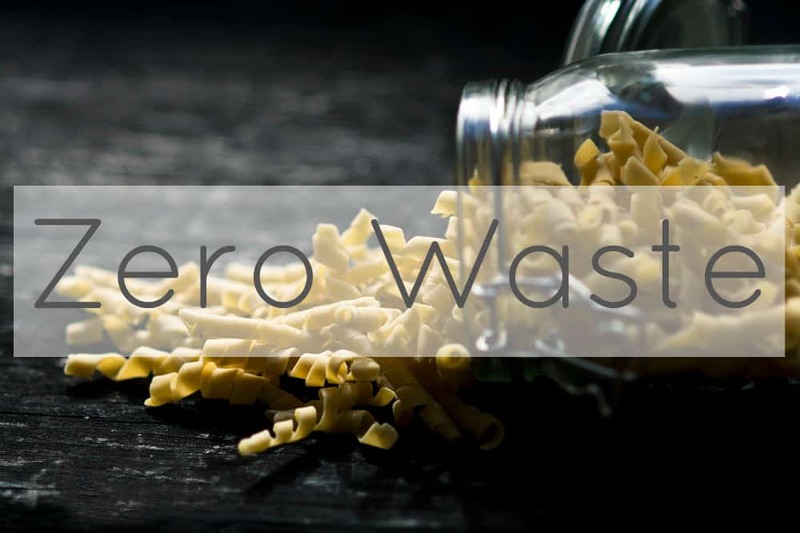 Zero waste definitely adds another element to that, because there is no easy solution to add packets of “convenience foods” as reserve. That doesn’t mean to say it’s complicated. In fact, all it took was a little bit of meal planning. Thinking about the kinds of foods that were easy to cook in a pan on a stove (pasta, rice, couscous) and what could accompany them (vegetables and condiments). Thinking about what could be eaten without cooking (crackers, fruit, avocado). 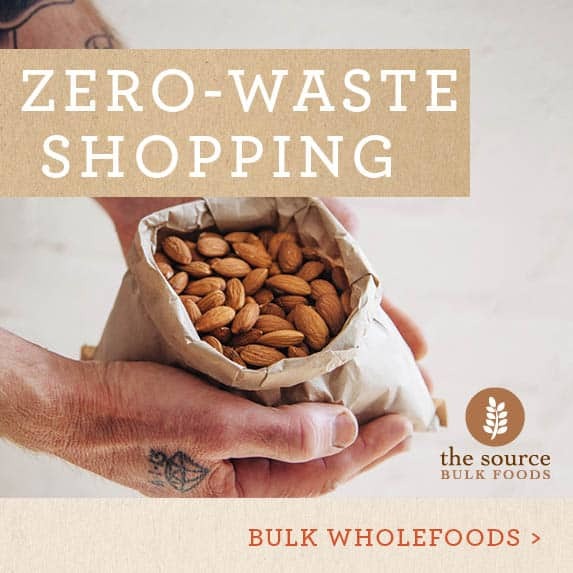 And of course, thinking about zero waste snacks (nuts, chocolate). Rather than the tin of tomatoes, I made a jar of pesto to take with us and we used that to make pasta sauce. Crisis (and waste) averted! I’m referring to the point above. The trouble with bringing all that pre-packaged processed food for emergencies is that “I-can’t-actually-be-bothered-to turn-on-the-stove” becomes the emergency, and all the packets of goodness-knows-what are opened in lieu of eating proper actual food. Zero waste camping eliminates this. Because there is more planning, there is actual food to eat, and even extra actual food for emergencies. Ultimately this means better meals and infinitely better nourishment – which makes the whole trip far more enjoyable. It’s not like we’re too busy doing other stuff to cook anyway – we’re in a forest in the middle of nowhere! 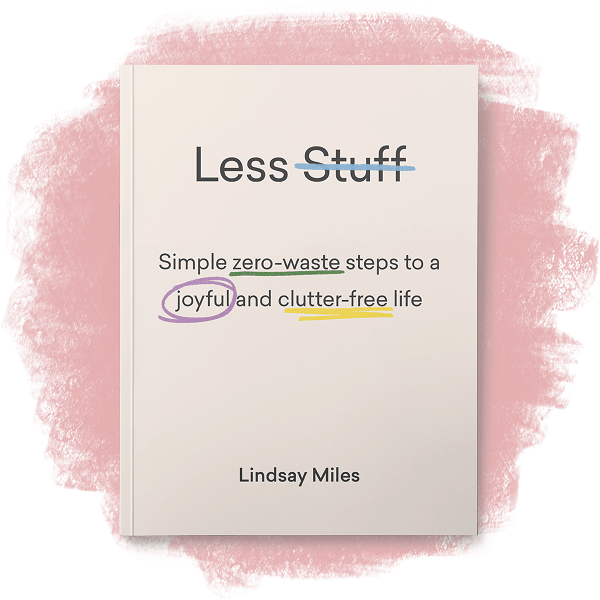 That’s always the trade-off with zero waste versus minimalism: you need (slightly more) stuff. No disposable anything meant more containers. Because everything needed to be sealed and airtight, this meant tins, glass jars and Pyrex, which is far more bulky than disposable plastic packaging. Still, we had a car, we didn’t have to carry anything and it created no waste, so it was worth it. Everything we took with us, except the food we actually ate, came home with us. When we were packing the car it was a bit of a mission to get everything to fit, and we were thinking at least there will be less on the way home – but actually, there wasn’t much difference. Containers don’t collapse or reduce in size when they are empty like packets do. Actually, this doesn’t matter at all – how many times did I opt for the single-use convenience option in the past, I wonder? It’s ironic that heading out to spend time in nature is often accompanied by unsustainable and environmentally damaging choices. I’m glad that I make better choices now. The only rubbish we generated was food waste, which we collected and composted at home. There were plenty of other highlights, of course. Spending time in nature, the fresh air, the exercise and the mindfulness of it all. Discovering that my husband and I are completely compatible at camping – hurrah (tinned tomatoes aside)! Realising that 5 years is way to long (we’ve already planned two more trips). The mishap that I referred to earlier? The last afternoon, it began to rain… and it didn’t stop until we left. It didn’t spoil our day – there was a camp kitchen area with shelter, so we used that. The tent roof didn’t let a drop of water in (which was a relief since it’s been unused for so long). In fact, on the final morning when we woke up, my husband and I were marvelling at our tent’s ability to stay dry, when my husband put his hand on the tent floor – to discover that there was a flood directly underneath the tent. We were sitting in 2 inches of water, separated only by a thin layer of tent, and anything in contact with the floor was wet (luckily, our roll mats protected us)! Now I’d love to hear from you! Do you go camping, and if so, what are your essentials? What have you learned to do without? How do you try to minimize your waste when you take trips? Does the idea of zero waste camping seem like too much of a struggle? Does the thought of all the equipment and organization required put you off? Or are you a pro at packing – in which case, do you have any tips to share? What’s your best camping mishap story?! Please tell me your thoughts (and stories) in the comments below! Thanks Alexis – yes it was! 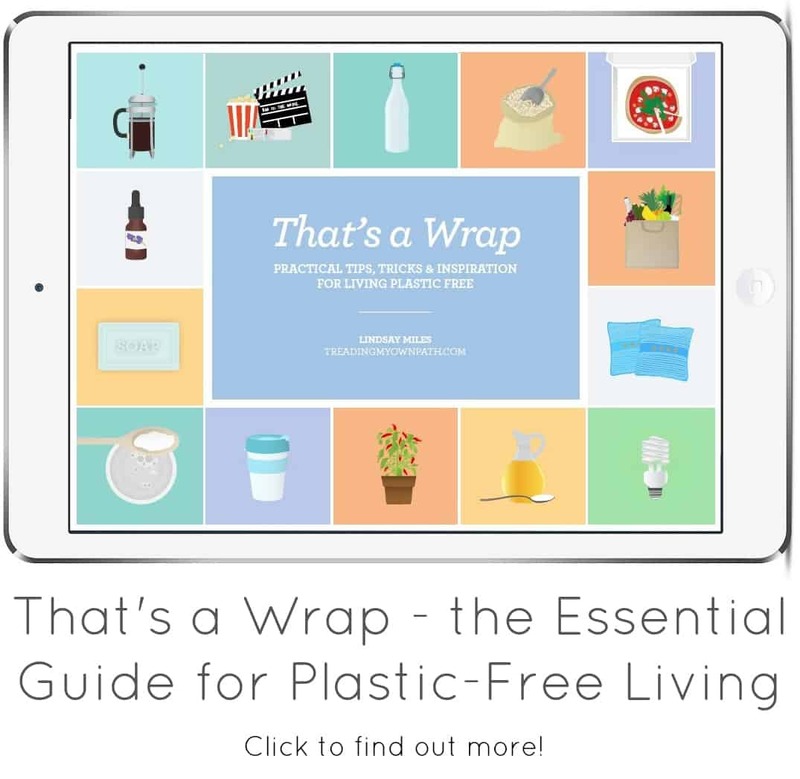 Ah, all the good things are compatible with the zero waste lifestyle ; ) Thanks for sharing that link – a really eye-opening article, and really informative. It must have been an intense experience. Working on Waste Management in the Maldives sounds great – is the reality the same? Camping by kayak adds another level of complexity in terms of space and waste. I pre-cooked a couple of meals and froze them in round containers, which could then easily put frozen into a (round) saucepan to thaw/cook. The frozen meals also act as ice bricks for other things – for at least the first day or so! I love the idea of freezing meals Shelby! We’re going to do a three-day hike in a few weeks where we have to carry our own stuff – that will be far more challenging in terms of zero waste. I wonder if I can take frozen food with me… It would definitely work on another camping trip. Good idea regarding the round containers! My husband and I just moved into our Airstream full time. Granted we have a fully stocked kitchen but I’ve started researching zero-waste solutions once I realized how much RVers throw away. With water often being scarce for long periods of time (when boondocking) many resort to plasticware in order to not waste water. I’m hoping to come up with a better solution once we start boondocking more. For now we’re in a RV resort full time and it’s much easier to try and figure all this out. Thanks for your take on zero-waste camping. It’s good to hear other people out there are succeeding at it! Very essentials, for me, are: sleeping bag, multi-purpose knife, lighter, spoon, rain jacket, rain-proof backpack, water (depends where you go), toothbrush and maybe a change of clothes. All the rest is not essential and can be managed according to the length of the trip and the season. In my humble opinion required organisation and minimizing waste (very good thing to do anyway) depends to: going with a car or without a car, the area where you go, and how many days. 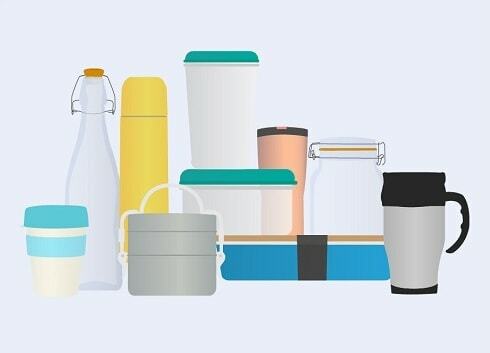 For example: you go hiking in the mountains for 3 days, you want your backpack as light as possible so you need to reduce the amount of containers you can bring with you. Pyrex or glass jars are not good solutions and small rugs can be used, but be careful of food with oil/water. If during a 4/7 days trip there is access to local markets we do not want to bring all that food and containers from home… Maybe we prepare meals for the first day and then we buy on the way, like we did in Esperance during Easter. I read that you had problems with rain… Did you had something under the tent? If you bring a tent, a good thing to bring with it is a tarpaulin so you can avoid water/humidity coming from the ground; normally they are made of polyethylene or polypropylene, but you can find also water-proof canvas. One of the most interesting camping experience I had was few years ago with the Red Cross. We were doing safety and rescue for a competition in the Italian West Alps, we were 55+ of us sleeping in one big military tent. Setting up and packing was pretty funny! “Did you put” probably is better. Thanks for your comment Federico! Yes I agree, it does depend on the situation. I like your suggestions. We will be hiking on the Bibbulmun Track for 3 day in June and carrying everything with us, so it will be interesting to see how that works out! And yes, Pyrex is heavy! Ah, the main problem with the rain was that we didn’t think it would rain (when we checked the forecast it said no rain). Had we realised, we would not have put our tent in the lowest, flattest part on the site! We did have a tarpaulin, but not under the tent, sadly! 55+ people to a tent is too many! Did you consider if the tent was coated with PFC’s? A lot of camping gear, like backpacks, tents, outerwear etc. is coated with PFC’s to make them water repellent or water proof. The catch is that PFC are toxic for both the environment and the human body. They don’t break down in nature, the body can use 20+ years to get rid of them and they are carcinogenic and endocrine disrupting. Hi Clara, the tent is one I purchased in 2003 before going travelling for a year. Back then I knew far less about sustainability than I do now. I also needed an expedition tent that I could carry with me. I’ve used the tent extensively for several months. It was used several times after that, but I’m not sure I’ve used it since 2008. So it’s old, but has plenty of life left. I’d like to think any harmful chemicals have already off-gassed – probably I just breathed them all in back in 2003. I would expect it to be less of an issue now. As I’ve got it, I intend to use this tent until it has no life left at all! Hubby and I got a tent as a wedding gift 10 years ago and we STILL have yet to use it! Shame on us! I’m not really sure why we haven’t used it yet. I still hope we will get to go “someday”. You bring up a good point about having to bring it all back with you and thus, your pack being the same size coming and going. I think planning out meals would be the most difficult part, but honestly, food packaging is an area we struggle with on a regular basis so it wouldn’t be much different if we were camping. I think camping is an excuse to make use of convenience foods even if you don’t normally eat them – so I liked that zero waste camping eliminiated that for me. It was so good eating real food! 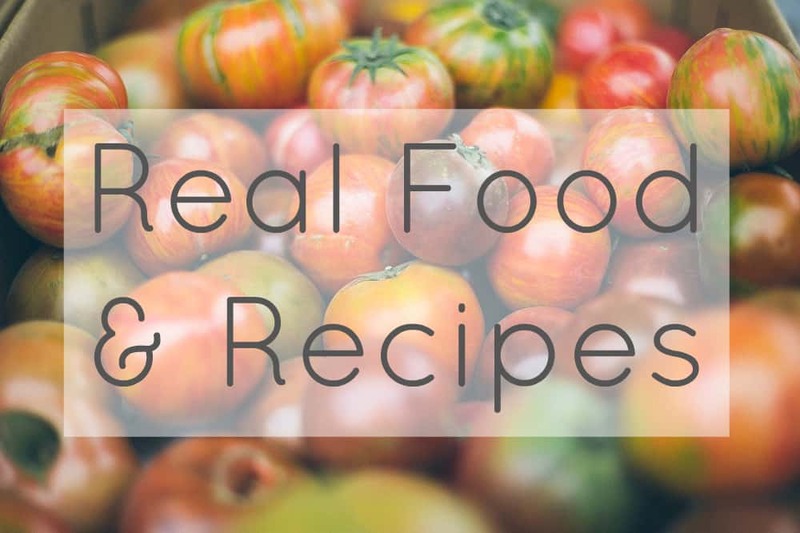 Food planning is a bit of an art, I guess – well, in that it takes practice. But it gets easier over time, too. Mountain brass?! I meant mountain bread :) speaking of which, peanut butter is an excellent spread to pack for lunches. Ah, so are we Rachel! It’s so nice being out in nature and time slows down. Everything feels so much more real, too. I’ve heard about the burning seed and blazing swan… have you been? Maybe I’ll go sometime. I was just looking at the website. My friend thinks they are amazing and she has convinced me it is worth going to! When I have to carry my own food porridge is my breakfast staple! Agreed – cook in water but I add dried fruit and a square of dark chocolate ; ) I did a lot of multi-day hikes back in the day and whilst I wasn’t plastic-free, I couldn’t bear the thought of eating dehydrated meals so I carried fresh veggies with me, and small but dense grains. Risotto rice, mushrooms, parmesan (it doesn’t go off and you don’t need much)… or couscous (I don’t think quinoa was “invented” back then). These days I don’t eat dairy but I think the foods will be similar when we go on the Bibbulmun Track hike in June. I intend to eat gourmet if I’m hiking long distances! Oh the Bibbulmun Track, that will be awesome! How are you going to approach carrying water? I’ve not been to any of the Australian camps. I did go to Kiwi burn this year, and I’ll likely go to Burning seed in October. I think if you’re interested you should try one once – it’s kind of like a multi-day music festival camp, but much more chill and with heaps of alternate activities like workshops and art installations going on. Back less than 12hrs from my first zero waste camping trip. A 4D3N trip where food and drinks needed more planning. This lifestyle is very new to me so was pleased to meet my new butcher who supports the plastic free cause and even suggested zero meal options. My error in judgement however was the spicy sticky bbq ribs…as it turns out I had no idea what to do with the bones?! Any tips? I found myself forcing down food to avoid wastage. 3/ alcoholic beverages. I however couldn’t find a suitable way to bring this in but a friendly camper introduced me to his beer and refillable beer growlers while another friend and kayaker introduced me to the refillable bladder packs for the wine. Amazing! All in all, while early days I managed to only have an ice cream wrapper and bones to bring home. Quite satisfying. Looks like my Christmas gifts are sorted!!! In the meantime I’ll be learning how to make pesto. 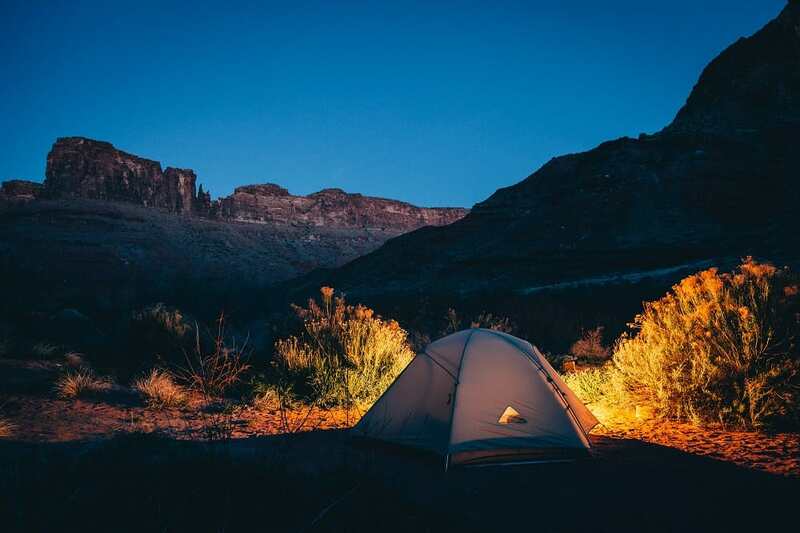 Tip to help lighten your carry load for that trip: inflatable solar lights. Kayaking stores have some great nifty contraptions that are compact, lightweight and multifunctional. Keen to hear how it goes. What I did last time was bring cooked food in containers that I’d prepared at home, and then used those containers for leftovers afterwards. I also find my reusable coffee cup makes a great makeshift container! Sounds like you had great success, well done! I will have to look into kayaking equipment, another friend of mine suggested it too! Just eat raw nuts, seeds and dried fruit I suppose! Another great read. 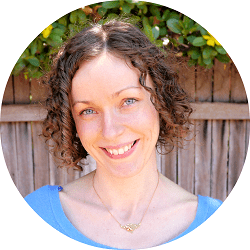 I love your blog so much, such an inspiration. We love camping (just got back actually) with our two boys. 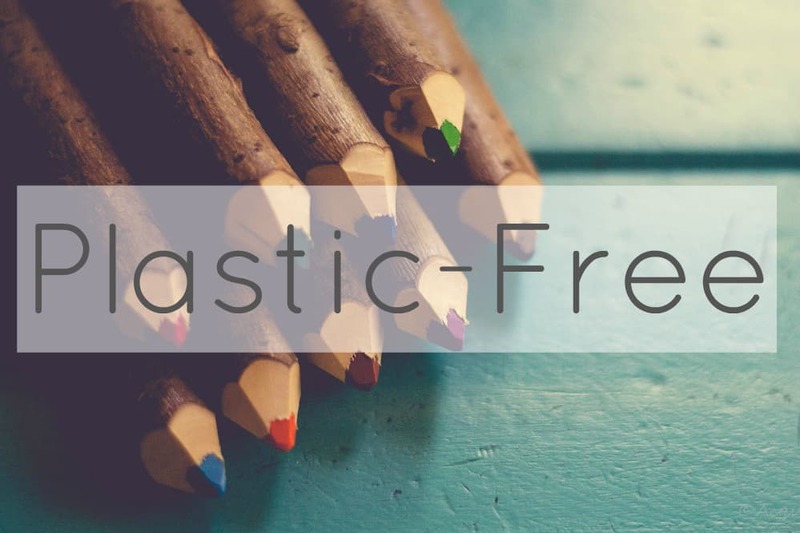 We are a long way from zero waste but make mindful decisions about plastic. You’re definitely right that the more planning ahead you do the easier it is. I usually make some pasta sauce in advance (hidden veg for the boys!) which is super easy. I buy popcorn kernels from the bulk store for a great campfire zero waste snack. How would people tackle a fortnight in the wilderness with a rucksack, carrying all food? Many hikers buy the freeze-dried meals. What else is there apart from the (weighty) lentils and rice + spices? I do a lot of multi-day (up to 15) hiking in really remote areas. I try to be mindful of my waste. I prepare my own meals at home and dehydrate them myself. It’s worthwhile minimising waste so you have less to carry out ! I do use a few ziploc bags, but these can be reused. I also carry one plastic container (years old now !) to keep all my crackers & loose bits from getting crushed. 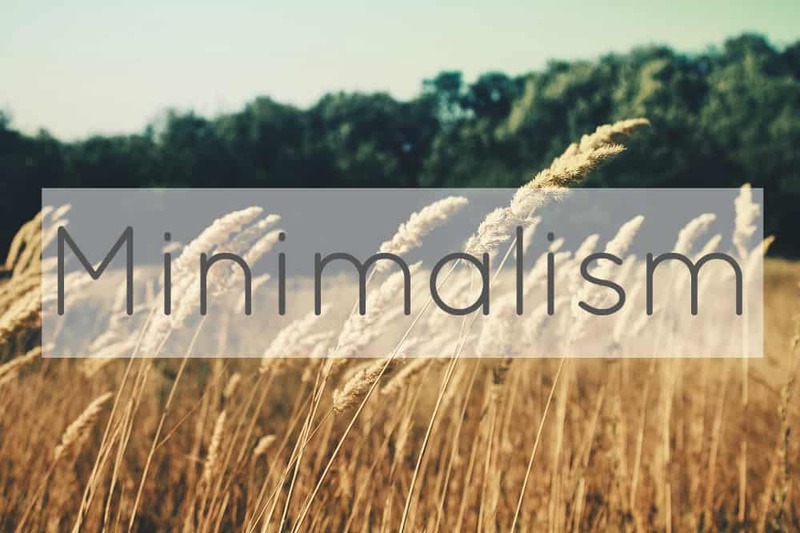 Not zero waste but minimal. I shudder at how much waste some people produce whilst hiking. PS. If you freeze a meal it will be fine for the first day. Hard avos will be right by the second or third day. Jerky is great if you eat meat. Veges are easy dehydrated. I’ve walked a week on the Bibbulmun.